During its 1226th meeting held on the 29th of April 2015, the Committee of Ministers Deputies of the Council of Europe discussed the 11th Consolidated Report on the Conflict in Georgia, which was prepared by the Secretary General of the Council of Europe, Mr Thorbjørn Jagland. The report covers the period of November 2014 - March 2015. It is important that the Council of Europe continues to monitor the commitments undertaken by the Russian Federation and Georgia following the 2008 war, and that it keeps informing the international community of ongoing developments in Georgia's occupied regions. Among other issues, the Secretary General paid particular attention to the signature of the so called “treaties” between the Russian Federation and the de facto authorities of the Georgian Regions of Abkhazia and South Ossetia. 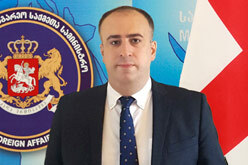 The Georgian delegation, as well as the delegations of the EU and the Council of Europe member states expressed their concern about this issue. The Secretary General's 11th Consolidated Report was welcomed by the Council of Europe's member states, which supported the practice of submitting the Secretary General's consolidated reports in future. Only the representative of the Russian Federation called into question the effectiveness of the Secretary General's consolidated reports. The Georgian delegation made a statement during the meeting, which focused upon the current situation in Georgia's occupied territories, in particular the importance of access of the international monitoring bodies to the occupied territories of Georgia. The delegation expressed concern about the illegal activities undertaken by Russian servicemen along the occupation line and so called “borderisation” process, as well as over the signing of the so called “treaties” between the Russian Federation and the Georgian regions of Abkhazia and South Ossetia. The Georgian delegation called upon the Council of Europe to undertake appropriate steps in response to the deteriorating human rights situation in the occupied territories of Georgia. A statement on behalf of the European Union was also made during the meeting, in which the EU member states reiterated their unequivocal support for the independence, sovereignty and territorial integrity of Georgia within its internationally recognised borders. The EU called on the Russian Federation to fulfill its international commitments and obligations, including the six-point ceasefire agreement of the 12th of August 2008; to provide the EU Monitoring Mission (EUMM) with access to Georgia's occupied regions; to commit itself to the non-use of force vis-à-vis Georgia. The EU condemned the signature by the Russian Federation of so-called “treaties” with Georgia’s breakaway regions of Abkhazia and South Ossetia; noted with concern the human rights situation in Georgia's Abkhazia and Tskhinvali/South Ossetia regions and the process of "borderization" along the occupation line; and underlined the importance of the right of refugees and internally displaced persons to a safe and dignified return. The Former Yugoslav Republic of Macedonia, Montenegro, Iceland, Turkey, Albania, Liechtenstein, Norway, Republic of Moldova, San Marino, Georgia and Ukraine aligned themselves with this statement. A statement on behalf of the GUAM member states was also made, in which they expressed their support both for the practice of the Council of Europe Secretary General presenting future reports on the conflict in Georgia as well as for Georgia's sovereignty and territorial integrity within its internationally recognised borders. The delegations of GUAM member states expressed concern over alarming Human rights situation in the Georgian regions of Abkhazia and South Ossetia and the process of “borderization”. Guam member states declared that the so called “treaties” between the Russian Federation and the Georgian regions of Abkhazia and South Ossetia are directed against Georgia’s sovereignty and territorial integrity and represent a step towards factual annexation of the occupied regions of Georgia. The Georgian Foreign Ministry welcomes the publication of the Council of Europe Secretary General's 11th consolidated report as well as the statements made by the EU, GUAM and other partners concerning the report. The Ministry hopes that the issue of the "Conflict in Georgia" will remain on high on the Council of Europe's political agenda.